I've been writing professionally since early 2016 and started producing videos for my personal YouTube channel in 2015. I write about consumer technologies and products. I specialize in Microsoft related news and products, but occasionally branch out to other realms of tech. A large portion of my videos are technology related as well. Here you'll find a collection of some more recent works as well as some that I feel stand out. My most recent in depth written review. “Microsoft fully delivered on their promise of 4K gaming, there’s no doubt about it. Games that have been updated or developed to have Xbox One X enhancements are nothing short of stunning. Games from the Xbox 360 and even the original Xbox that have received updates to take advantage of the hardware are a real treat for longtime fans of the platform. Even games that haven’t been updated for the new hardware will run at their full resolution and framerate. My first in depth review, and still one of my best! "The Lumia 950 is a good phone. It's technically better than any previous Lumia. I like it. But, I don't love it like my Lumia 930. That was a charming device with a wow factor, just like the Lumia 920 before it. The 950 on the other hand feels like a work in progress more than anything else. And of course, the app situation on Windows hasn't gotten much better." I will on occasion research new technologies in the consumer electronic space and let readers know what to look out for. "Ultimately, that's where mesh network systems stand right now. The technology works, and works well for the most part. But similar to other new technologies entering the market in the past, mesh systems are expensive at this moment. The ones worth getting start at about $400, a significant amount more than even a new router plus a good range extender. If you feel you'd benefit from a mesh system, and are willing to spend the money, buy one now knowing you'll be happy. 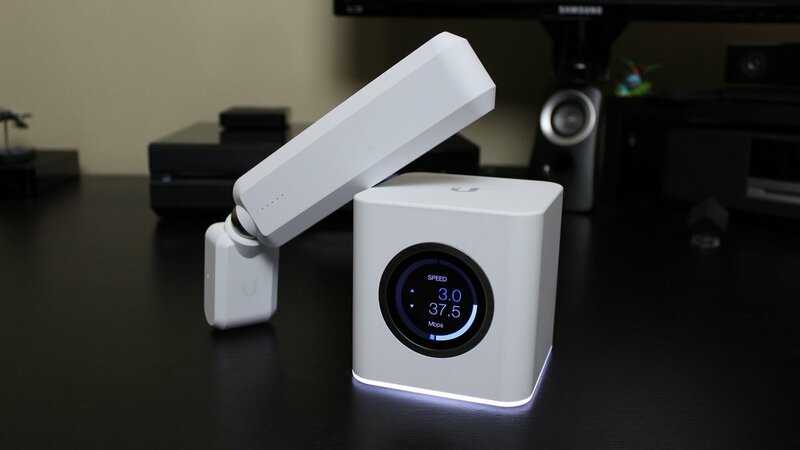 That being said, I believe this technology is a worthy replacement for the standard wireless router, and hopefully it won't be long before the prices come down on mesh systems." I wouldn't be much of a tech writer if I didn't follow the news! I'm always recapping the latest from Microsoft. "A fresh coat of paint may wow the average person, but the Fluent Design System isn't the best addition coming to Windows 10. No, that recognition goes to OneDrive Files on Demand. That's right, placeholders are finally back. While there were certainly many things worth complaining about in Windows 8, it's undisputed that the way the previous Windows OS handled files in the cloud was magical. OneDrive integration with File Explorer made accessing from and saving to the cloud a breeze. However, apparently the average user found this confusing, and so the functionality was deprecated in Windows 10, and any cloud files you wanted to access on your device needed to be saved locally as well. Why it's taken Microsoft two years to add a "Status" column to File Explorer (showing whether a file is only on OneDrive, is temporarily synced, or saved to the device) is anyone's guess, but hey, the feature will return soon now."